Mladá Boleslav, 27 September 2018 – Reigning WRC 2 champions Pontus Tidemand/Jonas Andersson (SWE/SWE) from ŠKODA are highly motivated to repeat their last year’s victory at Wales Rally GB (4/10/–7/10/2018). 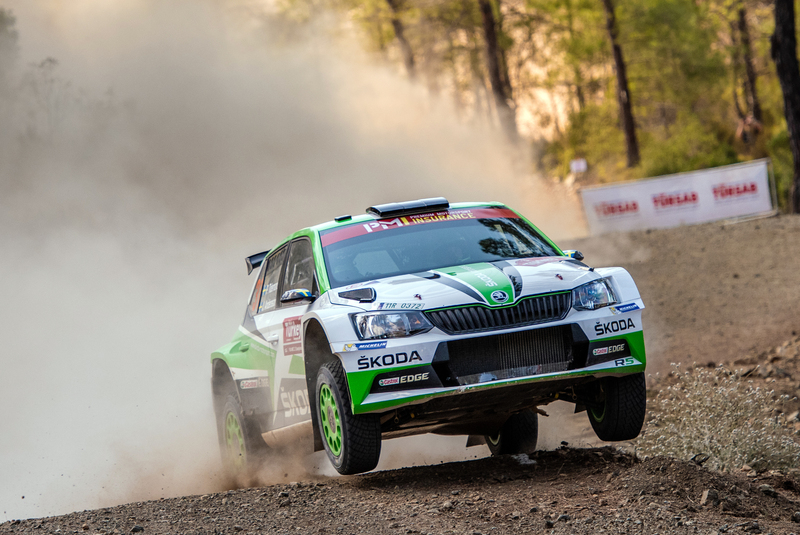 While championship leader Jan Kopecký won the recent WRC 2 round in Turkey, Pontus Tidemand, the runner-up from Sweden, had to retire, trailing his teammate now significantly in the overall standings. ŠKODA junior Kalle Rovanperä and co-driver Jonne Halttunen (FIN/FIN) compete for the second time in Wales and aim for a top result, too. At the recent Rally Turkey Marmaris, reigning WRC 2 champion Pontus Tidemand and Czech Rally Champion Jan Kopecký for the first time during the 2018 season were in a direct fight for WRC 2 honours. While Kopecký scored season win number five, Tidemand had to retire. 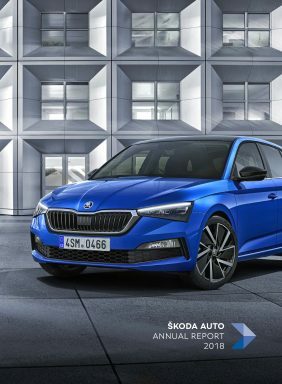 Nevertheless, ŠKODA Motorsport prematurely for the fourth time in a row won the FIA WRC 2 Championship for Teams (subject to official publication of the results by the FIA). Right from the season’s start ŠKODA Motorsport boss Michal Hrabánek granted the same number of WRC 2 events to both works drivers. Accordingly Tidemand will do his sixth WRC 2 rally in Wales, while Kopecký will have his start number six in three weeks in Spain. 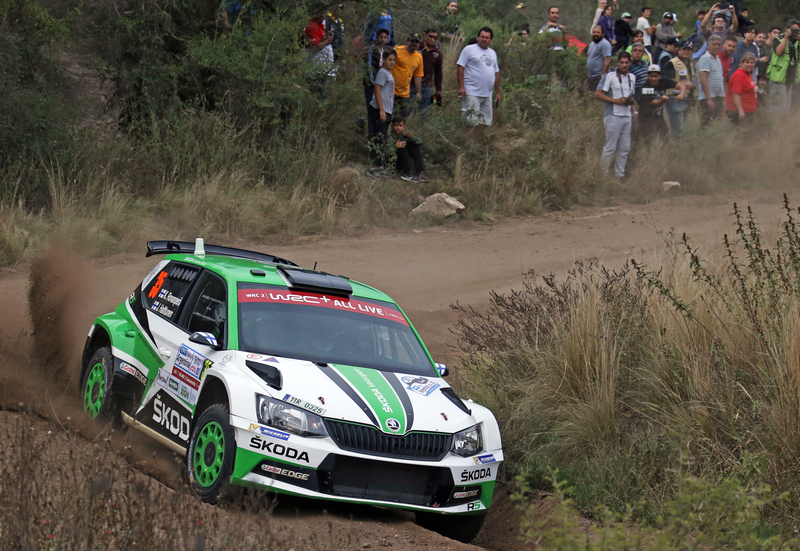 Pontus Tidemand is highly motivated to repeat last year’s victory in Great Britain. In 2017, he was unbeatable in the Welsh forests. Heavy fog and rain could not stop the eventual WRC 2 champion from setting impressive fastest times and winning the WRC 2 category. One of his toughest rivals at the officially called Wales Rally GB will be ŠKODA junior Kalle Rovanperä. Three days before the start, he will celebrate his 18th birthday. Having received his Finnish driver licence by special permission exactly one year ago, during the last twelve months he could compete only in certain countries. Still he impressed with a string of fastest times, for example leading Rally Finland before a mishap made him drop to fourth place. At Rallye Deutschland he delivered another strong performance by finishing second in the WRC 2 classification. Actually Wales Rally GB is the first round of the FIA Wold Rally Championship, the young Finn competes in for a second time. And while teenagers at this age normally enjoy their first rides with a brand new driver licence, Kalle Rovanperä is one of the top favourites in the WRC 2 category at Wales Rally GB. Wales Rally GB gets on its way on Thursday (4 October) at 19h00 with a 1.70 kilometres long show stage on the horse race track of Tir Prince. On Friday (5 October) the crews are facing eight stages totalling 110.76 kilometres. The most challenging and longest day of the rally with nine stages and 150.24 kilometres will be Saturday (6 October). The final leg on Sunday (7 October) features five more stages covering 55.64 kilometres. The winner will reach the podium at the village of Llandudno at around 13h15 (all times local). …that in 1932 an impressive number of 341 competitors were starting the first “Royal Automobile Club Rally”? …that in 1960 the RAC Rally, as it was known by then, for first time used special stages in the commercial forests of Wales, the Lake District and the notorious Kielder Forest? …that in 1990 for the first time pre-rally inspection of the special stages – commonly known as “recce” – and pace notes were allowed? Before 1990 all stages had to be driven with rough information only, the co-driver relying on nothing than a detailed road map. …that in the past the RAC Rally was a tough marathon test? In 1983 for example the rally covered 3,046 kilometres with 58 special stages totalling 844 kilometres. The total stage time of winner Stig Blomqvist (Audi Quattro) summed up to 8 hours, 50 minutes and 28 seconds. Ladislav Křeček/Bořivoj Motl won the A5 class with a factory entered ŠKODA 120 LS finishing 25th overall. …that up to the year 2000 the British round of the FIA World Rally Championship took place in England, Scotland and Wales before it entirely moved to Wales? …the all tarmac stage “Great Orme Llandudno” will return to the event? It consists of a twisting asphalt road and finishes on the beachside promenade of Llandudno not far from the podium.